Featured scientists: Interview with the winners of the Brazilian Award for best doctoral theses. The list of the winners of the 2018 Capes Thesis Award was announced earlier this month. The award is given by Capes (the Brazilian federal government agency that is responsible for quality assurance in postgraduate courses in Brazil). It distinguishes the authors of the best doctoral theses defended in 2017 in postgraduate programs of Brazilian institutions. The awards ceremony will take place on December 13 in Brasilia. The B-MRS Bulletin interviewed some of the winners, who were rewarded for their work on materials topics. Meet these young PhDs and their works. Interview with Andrey Coatrini Soares, winner of the award for the best thesis in the area of Materials. Advisor: Osvaldo Novais de Oliveira Junior (São Carlos Institute of Physics of USP – IFSC-USP). Institution: Postgraduate Program in Materials Science and Engineering of the University of São Paulo (USP). Andrey Coatrini Soares (born in Aguaí – SP, 33 years old) began increasing research experience in her first undergraduate year in Physics at USP, when he began his scientific initiation stage, which ended when he got his degree in 2010. He then decided to pursue a master’s degree and later a doctorate, both in the program in Materials Science and Engineering of USP. All along those years, he had the guidance of Professor Osvaldo Novais de Oliveira Junior, and worked with nanostructured films with applications in the health area. 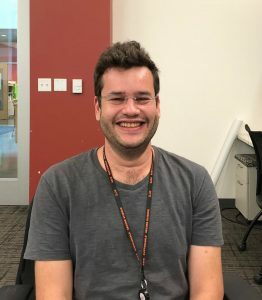 “Embracing a scientific initiation stage in the first undergraduate year and being able to work with researchers who are references in the field was crucial to accumulate experience in the area of the thesis subject,” says the Capes Award winner who continues to work with nanostructured films for health, now as a postdoctoral fellow at IFSC-USP. In his doctoral research, Soares developed a low-cost sensor, made from renewable materials, which detects pancreatic cancer in 8 minutes. The research was carried out in the Prof. Bernhard Gross Polymer Group of IFSC-USP, in partnership with the Molecular Oncology Research Center of the Cancer Hospital of Barretos, and with the Microfabrication Laboratory of the National Center for Research in Energy and Materials (CNPEM). “The combination of experience in the clinical area of the Barretos team, experience in the area of photolithography/devices of the CNPEM team and the experience in biosensors and thin films of the São Carlos team allowed a rigid selection of what types of materials would be used , the types of devices to be tested and, mainly, which type of cancer would be detected,” says Soares. B-MRS Newsletter: In your opinion, what is the most relevant contribution of the award-winning thesis? Au interdigitated electrode functionalized with Anti-CA-19 antibodies for early detection of pancreatic cancer. Andrey Coatrini Soares: The major problem for the diagnosis of pancreatic cancer is the silent characteristic of the disease; that is, the tumor is only detected at an advanced stage. Therefore, this type of cancer has the highest mortality rate among all cancers (99.3%, according to the International Agency for Research on Cancer, IARC). In addition, the current cost of the commercial diagnosis plus the detection time (approximately 40 minutes) are not allies of the patient. These were the key factors that led to our choice to develop a low-cost, low-speed miniaturized biosensor that could be implemented in clinics and hospitals, allowing clinicians, for example, to make decisions about patient care or analysis the efficiency of chemotherapy without the need to use invasive diagnoses. B-MRS Newsletter: Cite the main results generated from the award-winning thesis. Andrey Coatrini Soares: The work of the doctoral thesis developed a low cost diagnosis using biocompatible and biodegradable materials from renewable sources such as chitosan (found in shrimp exoskeleton) and concanavalin A (protein extracted from the seeds of Breadfruit). The versatility of these biosensors allows them to be implanted in patients for real-time screening of the biomarkers that are present in the blood. Each test costs R$ 5.00-6.00, which detects pancreatic cancer in just 8 minutes, using only 10μL of blood. B-MRS Newsletter: From your point of view, what are the main factors that led to this outstanding research work at the national level (your thesis)? Andrey Coatrini Soares: Teamwork, full dedication, in addition to funding from CAPES and FAPESP! In our work we had the participation of 12 researchers/collaborators in different areas of knowledge, from material engineers, chemists, physicists, physicians, geneticists and biologists. My sincere thanks to all of them: Prof. Osvaldo Novais de Oliveira Junior, my advisor and mentor, Dr. Juliana Coatrini Soares, Dr. Valquiria da Cruz Rodrigues, Dr. Flavio Makoto Shimizu, Dr. Maria Helena Piazzetta, Dr. Rui Murer, Dr. Angelo Luiz Gobbi, Dr. Matias Melendez, Dr. Lidia Rebolho Arantes, Dr. Rui Reis, Dr. José Humberto Fregnani and Dr. André Lopes Carvalho, as well as Dr. Rodrigo Marques de Oliveira and André Brisolari, responsible for guiding the first steps in science. The national emphasis achieved by the work is the result of the effort by the entire team, competent and cohesive, that to a certain degree strives to return to the population the investment made in our training, through a product that is accessible to all layers of society. B-MRS Newsletter: Leave a message to our readers who are undergraduate or graduate students. 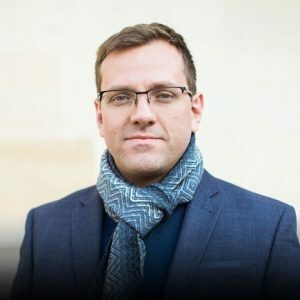 Andrey Coatrini Soares: Joining the academic arena means to be aware that virtually all learning will be built primarily by the questions you will ask, the mistakes you will make in trying to answer them, and how you will handle the challenges that the work will impose on you. It is within this growth that we learn to deal with the daily pressure for results and to face all the technical obstacles of the work. Undoubtedly, the satisfaction of overcoming each obstacle together with the satisfaction of contributing to science in a country that does not value researchers overcomes all the difficulties experienced during the doctoral period. Therefore, valuing each moment of individual or group work, every conversation with the advisor and, above all, valuing one’s achievements, even if they are minimal, is very important. And never leave behind the moments of leisure! Interview with Bruno Ricardo de Carvalho, winner of the award for the best thesis in the area of Astronomy/Physics. Author: Bruno Ricardo de Carvalho. Co-advisors: Cristiano Fantini Leite (Department of Physics, Federal University of Minas Gerais – UFMG) and Mauricio Terrones (The Pennsylvania State University). Institution: Federal University of Minas Gerais (UFMG). Bruno Ricardo de Carvalho (born in Cuiabá – MT, 29 years old) has always liked optics. When he was a child, he wanted to know why the sky is blue, how the rainbow is formed…. However, until a few years ago he had not imagined he would become a PhD in optical spectroscopy. Carvalho holds a degree and a Master’s degree in Physics from the Federal University of Mato Grosso (UFMT). During the master’s degree, guided by professor Jorge Luiz Brito de Faria, he began to study two-dimensional nanomaterials through computational simulations. Influenced by the desire to analyze these materials experimentally, he decided to undergo a doctorate at the Federal University of Minas Gerais (UFMG) under the guidance of Professor Marcos A. Pimenta, who was the author of interesting articles Carvalho had read regarding nanomaterials analysis by the Resonant Raman Spectroscopy technique. Thus, working in the Raman Spectroscopy Laboratory of UFMG, Carvalho obtained the main results of the awarded thesis. 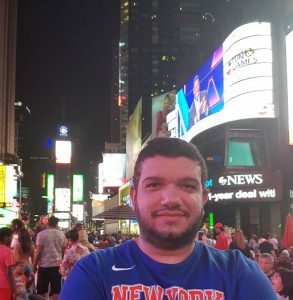 As soon as he started his doctorate, Carvalho showed interest in an internship abroad to learn about interaction with other research groups, and he expressed it to his advisor. Thus, upon completing two years of his doctorate, Carvalho moved to the city of State College in the United States, where he spent a year participating in several research projects on two-dimensional materials and their applications, at the State University of Pennsylvania under the guidance of professor Mauricio Terrones. “It was a very demanding year of total dedication and focus, but also very productive,” says Carvalho, recalling the articles generated during this period and published in high impact periodicals, the dissemination of results in international sites and the collaborations with theoretical and experimental research groups. Currently Bruno de Carvalho is an adjunct professor at the Department of Theoretical and Experimental Physics of the Federal University of Rio Grande do Norte (UFRN). B-MRS Newsletter: In your opinion, what is the most relevant contribution of the awarded thesis? Molecular model of a MoS2 monolayer excited by a green laser. The red light after the electron-phonon interaction. Bruno Ricardo de Carvalho: The main contribution is the double resonance model that we proposed to explain a Raman band, known as 2LA in MoS2, which is originated by a process of scattering between valleys. The new model presented to explain such a process can be extended to other two-dimensional systems. This was an open topic for more than 30 years in the scientific community, in the case of the material studied in the thesis, and we were able to propose an explanation. Bruno Ricardo de Carvalho: In the thesis we wanted to demonstrate that we had a specific problem and that we solved. 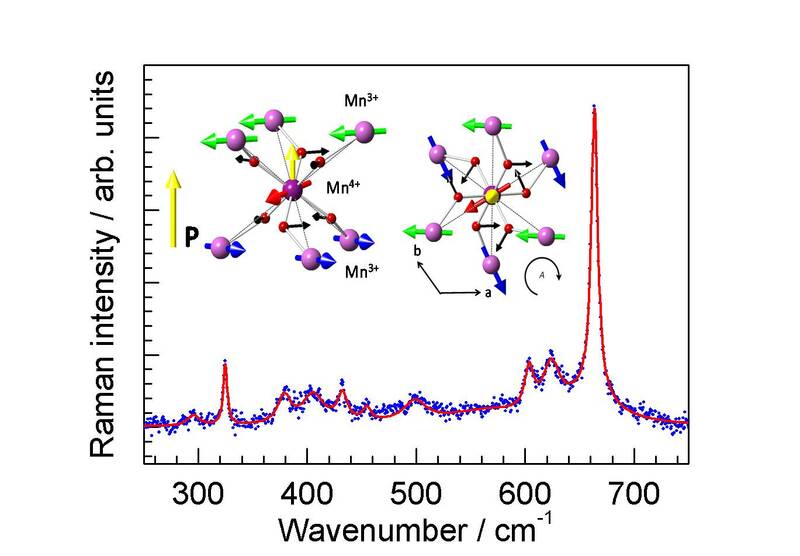 Thus, the study of resonant Raman spectroscopy in MoS2 was the focus of the doctoral thesis. This work generated the two main articles of the thesis. Bruno Ricardo de Carvalho: The infrastructure of the laboratory and of the institution where I conducted the research was fundamental to develop the work. The discussion with my mentors and the collaboration regime, made the work more robust and elegant, that is, when people from different points of view work together. Bruno Ricardo de Carvalho: My message is that they dedicate themselves to what they do. The doctorate is a phase of intense learning and dedication. To do science is to have a systematic posture, an open mind, a critical posture and spend many hours in the laboratory. All of this, with effort and dedication, generates work that will be recognized. And, much more than that, it will be work that you did and in my opinion this is the greatest satisfaction. Interview with Henrique Bücker Ribeiro, winner of the award for the best thesis in the area of Engineering IV. 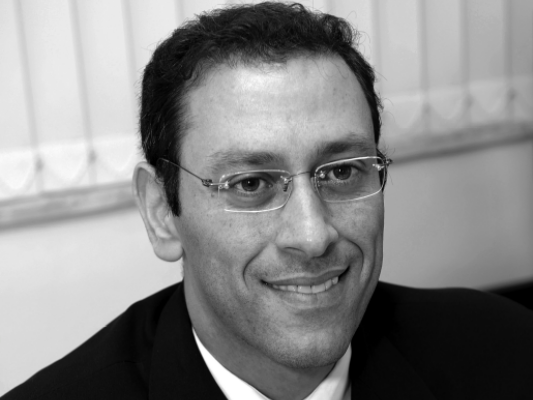 Advisor: Eunézio Antonio de Souza (Mackenzie Presbyterian University). Coordinator: Marcos Assunção Pimenta (Department of Physics, Federal University of Minas Gerais – UFMG). Institution: Graduate Program in Electrical and Computer Engineering, Mackenzie Presbyterian University. Henrique Bücker Ribeiro (born in Belo Horizonte, MG, 36 years old) was a student of the Physics bachelor’s degree at the Federal University of Minas Gerais (UFMG), when, in 2004, he started to analyze low-dimensional materials (those ranging from 1 atom to a few nanometers of thickness) using the Raman spectroscopy technique. Within a scientific initiation stage, guided by Professor Marcos Pimenta, he studied carbon nanotubes. In addition to guiding Ribeiro early in his career, Professor Pimenta introduced two professors from the Mackenzie Presbyterian University, Eunézio Antonio de Souza and Christiano José Santiago de Matos. “They played and play until now, alongside Marcos, irreplaceable roles as mentors and friends,” says Ribeiro. From that contact, in 2014, Ribeiro began his doctorate at Mackenzie. There, he continued to study low-dimensional materials using Raman spectroscopy. Ribeiro started with bi-layered graphene and then continued with black phosphorus and monochalcogenides. In addition to the infrastructure at Mackenzie, Ribeiro used equipment from UFMG, CTNnano (Belo Horizonte), LNNano (Campinas), as well as computing centers from Unesp and Unicamp. Ribeiro’s thesis did not only generate knowledge about the studied materials, but also helped to improve the use of the Raman technique to probe this type of materials. Today, Ribeiro is in a postdoctoral program at Stanford University with the help of a FAPESP grant, where he continues to study low-dimensional materials, more precisely, optoelectronic processes of two-dimensional semiconductors. Henrique Bücker Ribeiro: I believe that the most important contribution of the thesis was to explain an unexpected effect observed when measuring the angular dependence of Raman spectra on black phosphorus. We were able to explain with this study that when analyzing the angular dependence of the Raman spectra for certain crystals, it is necessary to consider an unusual mathematical treatment. This work has become an important reference for researchers working with low dimensional materials similar to black phosphorus. Artistic representation of black phosphorus flake illuminated by a green laser. Red light: scattered light with energy different from the incident (Raman scattering). When rotating the crystal, the angular dependency measurements should behave according to the gray line shown at the end of the red light, but behave like the green dots. Henrique Bücker Ribeiro: The work mentioned above generated an article (https://pubs.acs.org/doi/full/10.1021/acsnano.5b00698) that currently has more than 130 citations and is in the 1% of most cited articles in the area according to Essential Science Indicators, produced by Clarivate Analytics of the Thomson Reuters group. During my PhD I was awarded the Nanocell Institute of Scientists of the Year Award in the category ‘Nanotechnology: from production to application’. B-MRS Newsletter: From your point of view, what are the main factors that led to an outstanding research work at the national level (your thesis)? Henrique Bücker Ribeiro: Open dialogue with my mentors, collaborations, development agencies, the post-graduation program and the university, discussions with colleagues, support from my parents, support from technicians, a good work environment, dedication and effort and many other factors. Good work can be achieved when all these elements are in place. The absence of just one is enough to jeopardize the work. Henrique Bücker Ribeiro: Do not expect good results to materialize immediately and do not be discouraged when this is the case. Most of the time things will go wrong and even then, nothing will be wasted. A good result can be achieved by overcoming these difficulties and thinking about the problem. 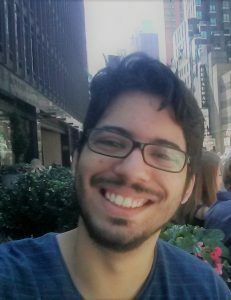 Interview with Adriano dos Santos, winner of the award for the best thesis in the area of Chemistry. Advisor: Paulo Roberto Bueno (Institute of Chemistry of Araraquara – UNESP). Co-advisor: Maria del Pilar Taboada Sotomayor (Institute of Chemistry of Araraquara – UNESP). Institution: Institute of Chemistry of Araraquara, State University of São Paulo (UNESP). For Adriano dos Santos (35, a native of Araraquara, São Paulo), the laboratory classes he had in the Chemistry undergraduate course at UNESP, in the Araraquara campus, were genuine foundations of his education. The tools and competences developed in these practical classes were very useful for Santos, both in the stages he performed in a company that produces paints and coatings, and in the stages of scientific initiation at UNESP, under the guidance of professors Antonio Eduardo Mauro and Paulo Roberto Bueno. In 2010, Santos began his Master’s in Chemistry, also at UNESP under the guidance of Professor Bueno. During the master’s research, in which he developed a piezoelectric device to understand a biological process, Santos began to learn about biosensors-related topics and to develop a special interest in this research area. After defending the dissertation, and while working in a chemical company, Santos decided to do a doctorate in a subject related to biosensors. In 2013, he began the doctorate activities. Again under the guidance of Professor Bueno and co-advised by Professor Maria del Pilar Taboada Sotomayor, he developed his research project at the Institute of Chemistry of Araraquara, UNESP. From September 2016 to February 2017, Santos was at the University of Oxford (England) performing part of the research under the guidance of Professor Jason Davis. “This enabled me to expand my knowledge and critical analysis with invaluable gains in professional experience and qualification,” says Santos. In his thesis, Santos presented a new application of existing techniques that generated biosensors with possible applications in the detection of thrombosis and cancer and in the study of biological phenomena. Currently, the prize winner continues working in this area with Professor Bueno, as a postdoctoral fellow. Adriano dos Santos: Biosensors are currently receiving considerable attention due to their economic (investment and market) and social (health impact and population quality of life) potential. These devices, in which the glucometer (device that measures the glucose content directly from the blood) is its greatest example, have the capacity to perform clinical diagnosis faster than the current methods, as well as limits of detection (smaller amount that can be detected in a sample) that is suitable for early diagnosis. Early detection is highly relevant when, for example, performing cancer diagnosis is desired. This is because the chances of cure and the survival time of patients with this disease are greatest when detected in the early stages. In my thesis it was demonstrated that by means of an electrochemical transduction of a biological recognition signal, called electrochemical capacitance, and also through new data analysis known as immitance functions, there is the potential to diagnose certain diseases in a sensitive and early manner, including cancer and thrombosis, without the need to use enzymatic or fluorescent labels used in the current clinical analysis. In addition, the use of this innovative electrochemical approach in the development of interfaces with potential applications in glycobiology is also unprecedented. The importance of this approach is to provide a new tool that will help researchers understand processes that are related to the interaction of proteins and carbohydrates. In this context, it is possible to encompass cellular invasion processes (whose knowledge may assist in the development of vaccines), and the understanding of the mechanism of tumor formation and proliferation. It is possible that this new approach may one day be employed in developing a technological platform for the development of glycoarrays (that is, techniques that allow the study of interactions between proteins and carbohydrates). (a)Example of an interface for the detection of biomarkers (molecules related to a certain disease). 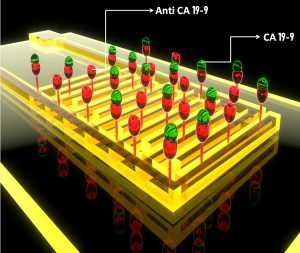 The interface consists of a monolayer composed of electroactive species and the recognition element (such as, for example, antibody). The interaction between the recognition element and the biomarker causes a change in the electrochemical capacitance signal (b), allowing to construct calibration or saturation curves (c). In addition, during the period of my PhD research, there were six more articles published, in partnership, on topics related to the thesis. It is also important to emphasize that during this period, a clinical diagnosis company was created, with my thesis supervisor, Prof. Dr. Paulo Roberto Bueno, and Prof. Dr. Jason Davis of the University of Oxford, as the founders. This company, Osler Diagnostics, is a spinout located in the city of Oxford, England, which is using part of the research generated in this thesis for its technological development. Adriano dos Santos: There are many factors, such as the infrastructure of the institution that contains equipment and professionals capable of performing tests and measurements that underlie the theory, as well as research support from the library to the post-graduate technical section, including the entire staff; the excellence of the group of researchers from UNESP – Institute of Chemistry, which includes my advisor (Prof. Dr. Paulo Roberto Bueno) and co-adviser (Prof. Maria Del Pilar Taboada Sotomayor) of the thesis, who assisted me with much advice and learning; the possibility of attending international scientific events, in which the importance of mastering English as a second language was crucial to promote the exchange of knowledge with the researchers in the events; the partnership between UNESP and Oxford University through a MoU (Memorandum of Understanding), which encourages researchers to carry out academic cooperation, raising the level of scientific discussion, and from which favored my internship abroad at this university, under the guidance of Prof. Dr. Jason Davis; and the funding of federal (CAPES and CNPq) and state (FAPESP) agencies through thematic projects and a doctoral grant. I would like to take this opportunity to thank the Institute of Chemistry-Campus of Araraquara (technicians, professors and researchers) involved in my thesis, to the University of Oxford, especially to Prof. Dr. Jason Davis, for having welcomed me to his laboratory, family and friends, as well as CAPES, CNPq and FAPESP for the financial support. Adriano dos Santos: Science is beautiful, and like a sculpture it requires the effort to polish the stone so the art is revealed. The journey to the goal is like a course, often tortuous, that deceives us and forces us to redirect our trajectories. Science is not linear, in that knowledge is ready and finished, but rather a constant review and advance of what is being done, especially for applications in new technologies, which require “returns” and new interpretations of knowledge previously seen as untouchable. Thus, it can be characteristic for the undergraduate student (when in a scientific initiation), and especially for the postgraduate, to encounter unexpected or difficult to interpret results, which may often be grounds for discouragement and abandonment of his/her research project. The only way to overcome these problems is through ethical conduct and professionalism, knowing how to recognize one’s limitations and seek continuous help from his or her supervisor or other researchers in the area. And also always be open-minded and question oneself, not with skepticism, but with consideration to understand the system that is the study object. Not less important is to remember that it is necessary for family to be close and for friendships to be cultivated. Setting aside leisure time such as hobbies and reading, different from those we are usually accustomed to in academia, are crucial. Consider practicing a physical activity and studying a second language, especially English, as there will certainly be opportunities in which that language will be crucial for career advancement, whether as a university professor or as a professional in a company. Interviews with plenary speakers of the XV B-MRS Meeting: Ado Jorio (UFMG, Brazil). Sixteen years ago, working as a post-doctoral fellow at the Massachusetts Institute of Technology (MIT) in the group of professor Mildred Dresselhaus, the Brazilian physicist Ado Jorio de Vasconcelos headed a study that would produce the first successful result of the application of Optics, more precisely Raman spectroscopy, in the individual characterization of carbon nanotubes – keeping in mind that nanotube´s walls are just one atom thick, with diameters typically about one nanometer. In the MIT website, the page of Professor Mildred, who has been studying carbon nanostructures at MIT for more than 50 years, reinforces the importance of the work she has carried out with Jorio: 5 of the 6 publications selected by the emeritus professor are co-authored by Jorio. When Ado Jorio began his postdoc he was 28 years old and had just finished his doctorate in Physics from the Federal University of Minas Gerais (UFMG). His thesis was on phase transitions in incommensurate systems, conducted under the guidance of Professor Marcos Assunção Pimenta. Prior to that, he earned his bachelor’s degree in Physics, also from UFMG, after studying Electrical Engineering for three years. After the postdoc at MIT, Jorio returned to UFMG and was later accepted as associate professor of the university in 2002 via a public selection procedure. From 2007 to 2009 he held a position at the Brazilian National Institute of Metrology, Quality and Technology (Inmetro) to develop nanometrology-related activities. In 2010, he became full professor of UFMG and that same year took over the direction of the Coordination of Transfer and Innovation of the University until 2012. In 2013 he was at ETH Zurich (Switzerland) as a visiting professor, carrying out teaching and research activities. In August 2016 he became Dean for Research of UFMG. Since 2002, Jorio has expanded the subject of his post-doctoral work. He has conducted research in optics and the development of scientific instrumentation, namely the study of carbon nanostructures with various applications. An example of this diversity is a study in which Jorio participates, in which nanotechnology field techniques are used to understand details of the composition of the “Indian black earth”, a highly fertile soil with carbon sequestration potential, which is found in places formerly inhabited by Indians in the Brazilian Amazon. Jorio holds one of the highest H-index among scientists in Brazil: 74, according to Google Scholar. He is also one of the most cited researchers in the world, evidenced by the inclusion of his name in the latest Thomson Reuters international list, which tabulated 1% of the most frequently cited papers in each knowledge area among all the indexed scientific articles between 2003 and 2013. Jorio is the author of over 180 scientific articles and 20 books or book chapters, and 8 patent applications. According to Google Scholar, his publications combine more than 30,000 citations. His contributions have received numerous acknowledgments from prestigious institutions, such as the Somiya Award from the International Union of Materials Research Societies in 2009; the ICTP Prize of the Abdus Salam International Centre for Theoretical Physics in 2011, and the Georg Forster Research Award by the Humboldt Foundation in 2015, among many other national and international awards. In the XV Brazil-MRS (SBPMat) Meeting, Ado Jorio will deliver a plenary lecture on a topic in which he is one of the world’s leading experts, the use of Raman spectroscopy to study carbon nanostructures. The Brazilian scientist will talk about how the technique evolved until reaching the nanoscale. He also promises to reveal some tactics that allow using light, whose wavelength is at least hundreds of nanometers, as a probe to investigate structures of only few nanometers. See our interview with this member of the Brazilian research community in Materials and plenary speaker at our annual event. SBPMat Newsletter: – Tell us what led you to become a scientist and work in the Materials area. Ado Jorio: – It was a winding path! I entered university to study electrical engineering. Back then I played in a progressive rock band, so I looked for scientific research in the area of music. I was told to talk to a teacher at the physics department who enjoyed music, studied acoustics and materials. That’s how my career began and which ended up in materials science. SBPMat Newsletter: – In your own words, what are your main contributions to the Materials area. Ado Jorio: – I would say there are two main contributions. The first is in the area of carbon nanotubes, I have shown that optics could be brought to the level of individual nanotubes. This gave way to a very broad research field because there are various types of nanotubes, depending on their diameter and chirality. Before this work, people were studying nanotubes. After this work, people began to study specific types of nanotubes. It would be equivalent to saying that researchers studying the atom then realized that there are different types of atoms. The article that was the linchpin of this discovery was the [PRL86, 1118 (2001)]. 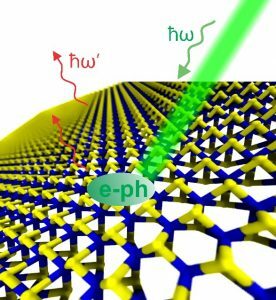 The second contribution was the advancement of optics to study carbon nanostructures more broadly. I worked on several fronts, from scientific instrumentation for optical measurements below the diffraction limit, to the study and characterization of defects, approaching materials of interest in soil science, biotechnology and biomedicine. Some key references are the books “Raman Spectroscopy in Graphene Related Systems” and “Bioengineering Applications of Carbon Nanostructures”. SBPMat Newsletter: – We always invite the interviewee to leave a message for the readers who are beginning their scientific careers. Many of these readers would like to one day achieve an H index like yours. What do you say to them? Ado Jorio: – Make a big effort to attend conferences and make great presentations, always! Science is a debate and you have to be heard. Never repeat the same presentation. Each public requires a specific focus. Of course this advice depends on funding, but since the beginning of my career I have always spent my own money to fund my travels, and I still do this. SBPMat Newsletter: – Leave a message or invitation to your plenary lecture for the readers who will participate in the XV Brazil-MRS (SBPMat) Meeting. Ado Jorio: – After all of the above, and since the title and abstract are available, I can only offer my thanks to those who will honor me with their presence. It will be an honor to have these colleagues in the auditorium. Featured paper: Vibrations of manipulated nanotubes. Scientists from Brazilian institutions, in collaboration with researchers from Israel, “manipulated” carbon nanotubes of 1 nm diameter deposited on quartz surfaces and analyzed strain and displacements produced by this nanointervention. The team identified some behavior patterns in the nanotubes – quartz system and formulated a mathematical model applicable to systems formed by one- and two-dimensional materials over various substrates. The results of the study were recently published in Nano Letters. To perform the experiments, the Brazilian investigators used samples idealized and produced in the Weizmann Institute of Science (Israel), in which the nanotubes are serpentine-shaped (composed of parallel segments connected together by U-shaped curves).These samples offered a desirable complexity, fostered by both the nanotubes format and the anisotropic character of quartz, which makes adhesion of nanotubes to the substrate not the same at all points. In order to “manipulate” the system, the researchers used the tip of an atomic force microscope (AFM) built in the laboratory, which allows to change the position of nanometric particles and even of atoms, and to measure in situ the optical spectrum of nanostructures. In each sample, the tip touched a point of the quartz substrate and pushed toward the nanotube, and then proceeded to the optical analysis. Before and after nanomanipulation, the scientists analyzed a number of points in the nanotube using the technique of Raman spectroscopy, which provides information about the frequency in which the atoms vibrate in the area being studied. More specifically, researchers focused on the frequency of the “G band”, which is used to infer the strain measurements of a considered point, since changes in the frequency of the “G band” are proportional to changes in strain. Thus, scientists were able to identify and analyze different behavior of the nanotubes after nanomanipulation; for example, the detachment of the substrate and the intense displacement of a full stretch of the nanotube that had received two manipulations at the same point. In addition to performing the experimental work, the authors of the article in Nano Letters managed to condense the complexity of behaviors they observed in a mathematical model (an equation) capable of explaining them theoretically and predicting these phenomena in similar systems. “The paper proposes a relatively simple model to describe complex effects of nanostructures adhesion in support media,” says Ado Jório, professor in the Department of Physics of the Federal University of Minas Gerais (UFMG) signing the letter as corresponding author. The research that led to the Nano Letters article was developed within the master’s, doctoral and postdoctoral work of three authors of the letter, in the context of the Brazilian Network for Research and Instrumentation in Optical Nano-Spectroscopy, a project funded by the National Council for Scientific and Technological Development (CNPq) and coordinated by Ado Jório. “This is the result of a broad scientific instrumentation project, which aims at reaching the level of manipulating nanostructures and measuring, accurately, the effect of this process at the nanoscale,” says Jório. The figure shows one of the 34 serpentine-shaped nanotubes on crystalline quartz substrate studied by the authors of the article. To the left of the reader is the nanotube before manipulation. To the right, following the sequence, the same nanotube after the intervention, with the consequent evident strain. The central segment of the nanotube, where the nanomanipulation occurred, was colorized, the gray scale indicating the frequency of the G band in that place. Finally, farther to the right, the chart displays the frequency of G band measured by Raman spectroscopy in successive points of this nanotube (graphical representation of gray hues): the black circles refer to non-manipulated nanotube and the gray colored circles, to the manipulated ones.